Depression is one of the most common mental illnesses around the world. 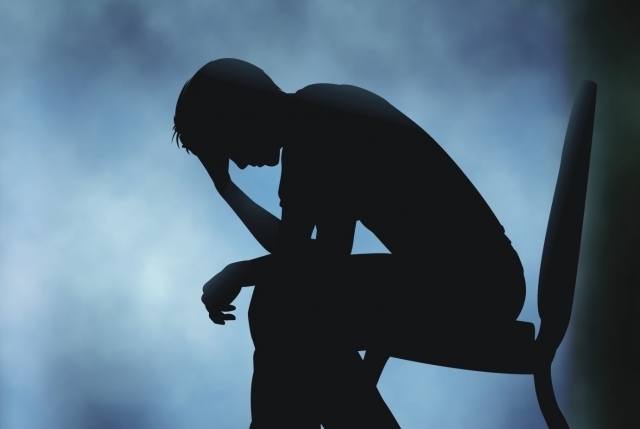 The fact that it is affecting more than 15 million Americans age 18 and over each year and the fact that there is not one exact cause for its occurrence makes Depression a very serious mental illness. Luckily, there are a number of treatment options that we can choose from. We have some of the more conventional ones such as taking antidepressants and signing up for talk therapy, and there are some of the still more conversational ones such as using medical marijuana to treat your depression. This interesting topic is the exactly one that we chose to talk about today. Do you believe that marijuana can help treat your depression symptoms? Are you willing to try it to find out? Let’s discuss the beneficial effects of the medical marijuana against Depression to help you make this decision on your own. A study published in 2012 showed that there is a decrease in the suicide rate among patients dealing with depression two years after the legalization of medical marijuana. The use of medical marijuana reduces the risk of suicide among depression patients by decreasing their alcohol consumption. If you did not know, suicidal thoughts and even worse – suicide attempts, are very common among patients dealing with Depression. Besides the loss of interest, insomnia, fatigue and low energy levels, suicide thoughts are the next most common symptom of Depression. Marijuana will help you fight your low appetite. How are you expecting to feel strong and healthy if are do not eat right? But when dealing with Depression, you just do not feel like sitting down and having a healthy meal. Low appetite is also one of the most common symptoms of Depression. And this is yet another problem that the use of medical marijuana can help you overcome. Marijuana contains ingredients that will naturally increase your appetite and help you feel healthy and energized throughout the day. Because of this ability, medical marijuana is being commonly used among patients dealing with different forms of cancer and AIDs/HIV according to a study published in the Innovations in the Clinical Neuroscience. The use of medical marijuana will help improve your mood, but this is not a secret for you, is it? It is a common knowledge that most users of marijuana use it exactly because of this effect. Marijuana is supposed to improve your mood, help you remove any negative thoughts and relax. Marijuana will decrease your stress levels. Stress is known to be one of the most common causes of Depression. Naturally, what you would need to do is eliminate all of that stress from your life. Yoga and meditation are described as successful stress-fighting techniques, however, medical marijuana, although controversial, is also one of those techniques. The use of medical marijuana can help you lower your stress levels and relax both your body and mind. Low doses of THC, which is the active compound in marijuana, can work as an antidepressant by increasing your levels of serotonin, according to a study published in 2007. But be careful because high amounts of THC are associated with low levels of serotonin and the occurrence of depressive symptoms. Make sure to consult your doctor about the amount of medical marijuana that you are supposed to use without any risk. A study published in the Journal of Clinical Pharmacology and Therapeutics confirmed the ability of cannabis to induce sleep and help its users to improve their sleep routine. And why is this important? If you are suffering from Depression, then you probably have experienced insomnia and sleep disturbances which are everything but not pleasant. Bill Zimmerman, Ph.D. published a book called “Is Marijuana the Right Medicine for You?” in which he talks about the various beneficial effects of marijuana on our body and towards different health problems. But what we want to take a better look at is his opinion on the use of medical marijuana in the treatment of depression, anxiety, and bipolar disorder. In his opinion, the mood altering effects of marijuana are commonly described as helpful for treating mood disorders such as the ones that we mentioned earlier. 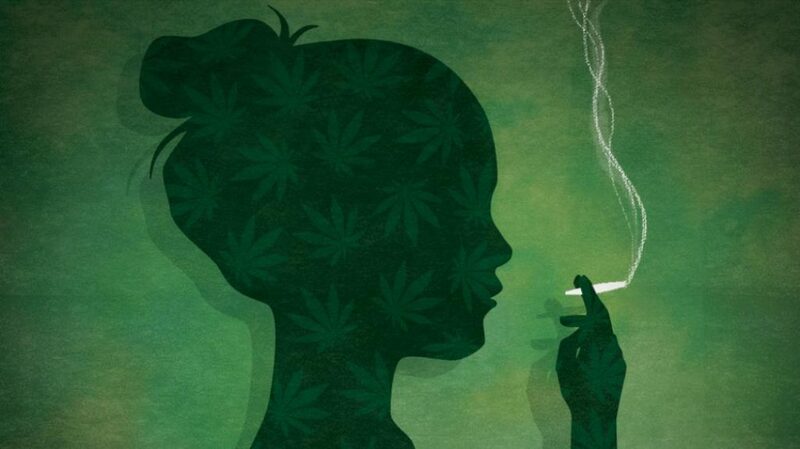 In his opinion, medical marijuana can also be used to relieve the physiological and psychological difficulties that occur during a woman’s premenstrual syndrome. Dealing with Depression cannot be an easy thing to do day after day. But do you know what the trick is in finding the right treatment? The trick is in being open-minded, patient and dedicated to the process of getting your life back to normal by taking small yet meaningful steps. You will have to learn to be open to trying new things even if they may seem a bit controversial. For example, what do you think about trying yoga and meditation as treatment options for Depression? And how about trying Marijuana? If you have had tried Marijuana, then you probably know that it affects your body and mind, improving your appetite, sleep routine, mood, etc. And these are exactly the effects that we are looking for when in the middle of a Depression treatment. So if you are a bit skeptical, please do go through the previous article and try to understand how exactly marijuana affects your body and mind and how it is supposed to help you overcome Depression. And from then on the decision of trying it or not, it is all up to you. As a person who was diagnosed with severe Depression at 14 and Bipolar disorder at 18 and have treated both with HIGH THC Cannabis for 30+ Years I would love for you to state your sources when talking about High THC Dosages being detrimental. Although it is widely believed that a serotonin deficiency plays a role in depression, there is no way to measure its levels in the living brain. Therefore, there have not been any studies proving that brain levels of this or any neurotransmitter are in short supply when depression or any mental illness develops. I’m thinking of trying cannabis oil to treat my depression and get off the drug I take for it. My understanding is that the Sativa strain is best for depression. Wondering what your thoughts are on this and if anyone knows dosing info. etc. A friend of ours did some research about medical marijuana online and directed us to SMS Dr Felipe J. Laliberte via his # (785) 251-8423 which he had read through online and so we decided to give him a try after thoughts. we place our order with him, provided him our State and delivery address, to our greatesr surprise we got their delivery man in our home with our parcel after 3 business days. I’m so happy to say the love of my life (my Husband) is now pain free after receiving the doc treatment for 2 weeks. SMS Dr Felipe J. Laliberte (785) 251-8423 now and be pain free. They do ship via Fedex, UPS, EMS, USPS delivery services with a tracking number provided to you. Packages are Discreetly Packed in a double Vacuum Seal. double vacuum sealed containers to conceal smell and disguised packaging to eliminate any possibility of suspicion. No cannabis related information will be found on the package. Cannabis certainly has benefits for mental health issues like depression and anxiety. Please don’t self-medicate. I’d recommend counseling, or talking to a doctor and getting a medical card. You’ll eventually feel better, get your emotions in check, and move forward.